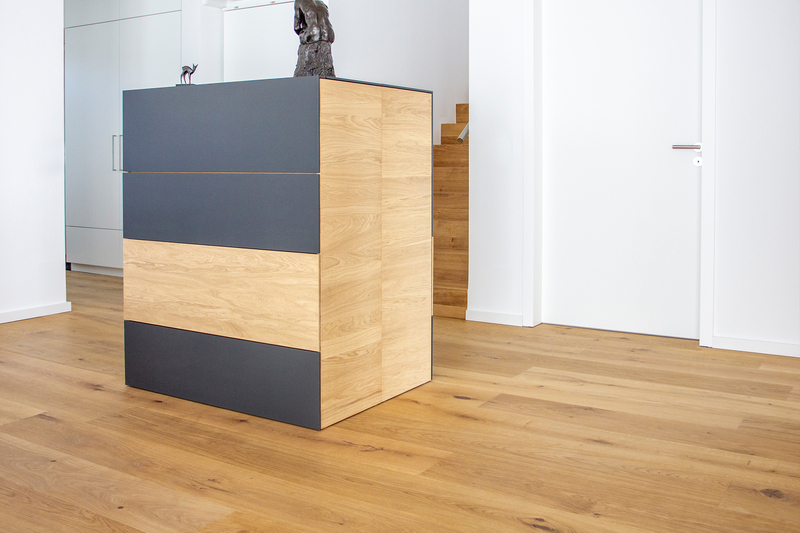 These floors are the result of a collaboration with designer Joost van Veldhuizen. PLANCA by VanJoost is unique in terms of structure. 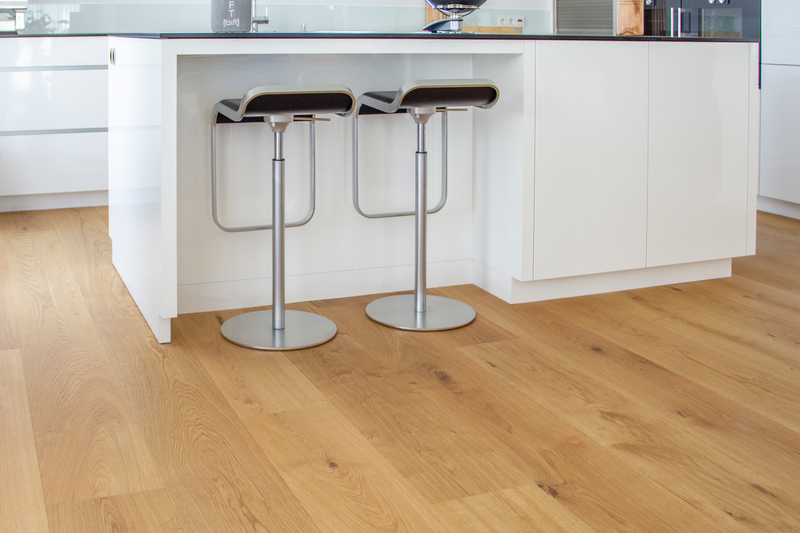 The product has an oak top layer of 5 mm, a 10 mm oak middle layer and an oak bottom layer of 5 mm. This results in unique stability and makes it suitable for underfloor heating. We have produced this PLANCA by VanJoost floor on request for a new construction project in Germany. A natural look has been chosen, integrating the authentic wood grain well in this modern home. In addition, the large boards create a spacious and undisturbed feeling to the entire home.